Driving down route 17 with the sun beating down at a balmy 75 degrees, I traveled in my not-so-new car with my husband and two kids, curving around old towns and modern businesses along the eastern seashore, headed southwest toward one of the many plantations here in the southern part of the United States. We had just taken a bit of vacation at the beach yet wanted to explore some new and interesting places along the back roads. After examining the map (yes, we did use a paper map—as we have a soon to be Eagle Scout in the family! ), we decided to take the ‘long’ way home and drive in a geometric triangle to some other treasures along the main roadway. While steeped in Colonial and Antebellum state history, I had stumbled in recent years upon a resident of this dwelling about which I was especially interested in learning more. As I dug into his life, I realized he came from a long line of very influential people. I had read about the Horry’s, the Middleton’s, the Pinckney’s and the Rutledge’s. These were the families that had produced a governor of South Carolina, a chief justice of the United States Supreme Court, a signer of the Declaration of Independence, and a voice and signer of the US Constitution—all interrelating on this homestead. 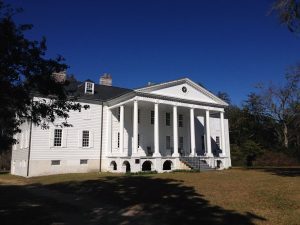 So having a chance to visit the home, I was rapidly waiting to turn off the main route, drive down the narrow dirt road lined with tall, stately pines, hardwoods, and leaning live oaks, dripping with gray Spanish moss to see this stately place. As we were getting closer to the plantation, we saw grave markers with a moss-covered brick-walled cemetery to the left. There was a marker with his name chiseled out in the stone. 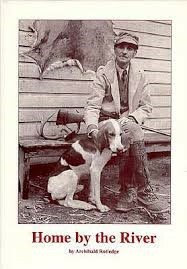 Long ago, as I was researching for some local poets and nature writers, his name came up more than once in my studies. Realizing that he was a state poet laureate, I had embraced him as a fellow writer, quickly placing him on my measured list of biographical people to revisit one day when the timing was right. I had also found out that he was a runner-up for two Pulitzer Prizes and a Nobel Prize for Literature. His name is Archibald Hamilton Rutledge. His descendants and family had lived in the residence from the 1700’s through 1973, when Archibald gave his home to the state for historic preservation. We knew the large tree out front was called the George Washington Oak, as there is a story passed down that President Washington was visiting the home during his tour of the South in 1791. He saved the old tree from being cut down because the missus of the home thought everyone should see the Adamesque frieze and pedimented gable that was added on recently to the wooden Georgian structure. The missus asked George Washington if he thought the tree should be cut down for a clear view of the portico and he said he liked the tree. And so the tree stayed, grew, and is now a namesake of the famous general and president. After some time observing the outside of the mansion, the ranger came to let us take a look at the interior of the home as he told us about the exposed walls, cut out fireplaces, and hallowed ceilings. It was interesting how there was not a bit of furniture left in the home and as you can see the walls and ceiling of the home are all exposed so that a wonderful look can be had. 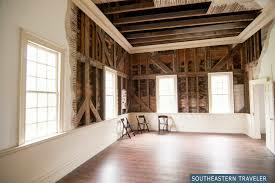 Hampton has a heavy timber frame that is typical of the colonial buildings. Many various tools were used to square off the timber and were on display at the site: broadaxe, adze, and pit saw. The marks of each tool’s distinct texture reveal the skills of the craftsman. Many of these talented enslaved men were masters at their trade, using a white chalk line to snap the distinct straight line along the log to guide him in squaring the tree trunk. Cutting smaller beams and boards, the sawyer used an ancient two-man technique with a pit saw to cut from above and pull from below. Joinery is the craft of connecting the frames together. Joiners locked the beams together by creating a mortise (a hole) and tenon (a peg). Throughout Hampton, my family kept seeing the chalk snap lines and Roman numerals on some of the timbers, which the joiners used to guide the assembly process. We could even see the distinct cuts of the tools used as we looked from room to room. Like many homeowners today, the family chose to expand the home as their family increased and as styles or circumstances changed their family dynamics. Hampton started out as a modest six-room farmhouse (starting in the 1730’s) which evolved into the mansion of added rooms and long pine floors that you see today (the last addition was the columned portico in 1791). Hampton’s expansion was fueled by profits from rice cultivation. Much archeology has been discovered here: remnants of a porcelain plate from China, buttons, mechanical pieces of a bell system still hanging on the wall, fireplaces cut away to show how they were built to keep the home warm. There are outbuildings to look at, foundations of the smaller homes on the property, flower gardens to see, a nature trail looping around by the creek, use-to-be rice fields with overgrown canals, graveyards with generations lying at rest. So many families tied to one building. Their grand home would not have been possible without the labor of hundreds of enslaved people who worked and lived their lives here with their own family stories to pass on. Looking at the historic site, reminds me of a quote I recently placed in my commonplace book: “Everything that happens to us leaves some trace behind; everything contributes imperceptibly to make us what we are…The surest plan is just to do the nearest task that lies before us”, (Hoffman, 1891-1892, p. 657). eauty is deeper and overflows into the people we meet from discovering the spaces. Charlotte Mason is continually writing about using our minds and the power of observation. She so eloquently speaks of Goethe, as did Art Middlekauff, for whom I am indebted to by encouraging us to learn deeper about Goethe and his parents who so poured their lives into their children. How through unresting efforts of his parents, he had started the study of architecture and music. In his student days, he had observed Gothic architecture, moving on to contemplate the architecture in Italy. Mason goes on to write, “He spent his time in Rome in drawing, learning perspective, instructing himself in architecture, practising composition in landscape, and modelling the human form, limb by limb. His drawing never came to more than a taste for the art, but he himself perceived that the value of his study lay in teaching him to appreciate the work of others,” (Mason, 1989C, p. 357). Appreciating the work of others is the foundation of our learning. 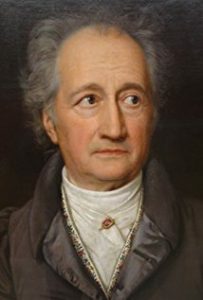 Mason, writing about Goethe, goes on to say, “But in his notes on these subjects of study, as throughout the autobiography, we find repeated what we might well take as a canon of education in these subjects; that is, that a power of appreciation in both arts is of more value to many, perhaps to most of us, than the power of production, and should be as deliberately and as regularly cultivated,” (Mason, 1989C, p. 358). When life with its fevers is faded and gone. Middlekauff, A. (2015). Charlotte Mason’s call to parents In J.C. Smith (Ed. ), Essays on the life and work of Charlotte Mason, vol. 2, (pp. 37-56). PA: Riverbend Press and Charlotte Mason Institute. Hoffman, H. (1891-1892). Max Pauli: The story of a man’s life. Parents’ Review, 2. 657-669. London: The Parents’ National Education Union. Mason, C. M. (1989C). Formation of Character: Shaping the child’s personality. Charlotte Mason Research & Supply. (Original work published 1905), p. 357-358. Mason, C. M. (1989D). Ourselves. 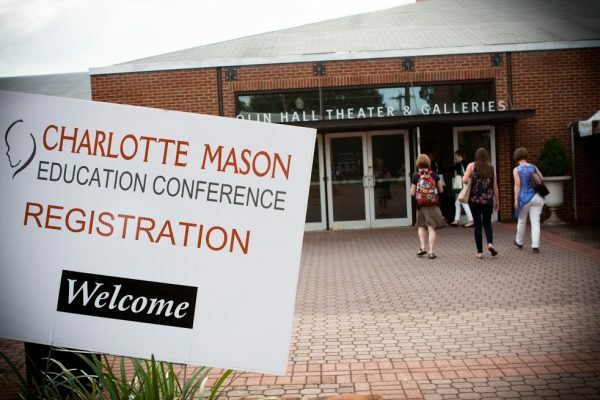 Charlotte Mason Research & Supply. (Original Work published 1905), p. 36-37.